Our surroundings affect our health and happiness. However we are so busy that it is very easy to disregard how our environment often mirrors our state of mind. Have you ever felt overwhelmed and frantic when you cannot see the top of your desk or when your house needs a good cleaning? Besides the office where we spend 8 hours a day, one of the most important rooms in our lives is the master bedroom. This is the space where we rest and recharge for the next day. This is also the Couple’s retreat for intimacy and romance. Become more aware of your surroundings: How do you feel when entering your bedroom after a long day? What is the first thing that you see when you wake up? Make sure that you enjoy the view. Remove clutter. Take the time to remove piles of papers, unwanted clothes and objects that do not belong there. Consciously choose the items you place in your bedroom. 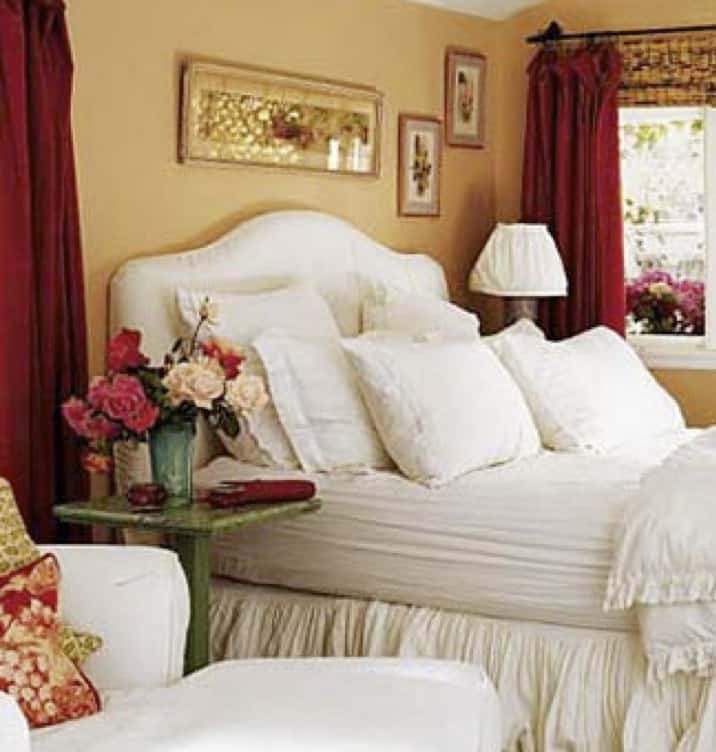 Bed: Place the bed against the wall with a sturdy headboard to give yourself the support you need in life. The bed should be located to allow you to see the door from the bed, but not directly in front of the door. Avoid using the space under the bed for storage, instead let the flow of air surround you for optimum rest. After a divorce, get a fresh start. If possible, remove as many items that remind you of your failed relationship. Purchase new bedding to signify a new beginning and remove negative connotations. After the loss of a loved one, you might want to keep everything that reminds you of your life with your companion. When ready and only if you want to experiment with creating your own sanctuary, start by changing a few items and notice how you feel. Select objects and artwork that make you feel good and that you love. However do not just place a pretty picture on the wall, look at the meaning of the artwork. Are you surrounded by the symbolism of single-hood or representation of togetherness? 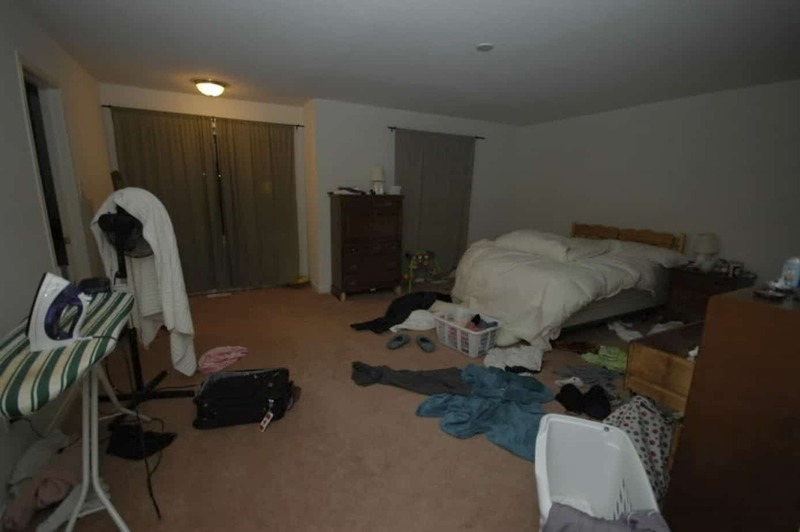 If in a relationship, design your bedroom together. Include your partner in the decisions, even if he/she claims not to care. You might be surprised to discover otherwise! Compromise and have fun! The goal is to have a retreat where you both feel comfortable. Display recent photographs of you and your partner. If looking for a companion: Make sure to create an environment where that person will feel welcome. Create some space in the room and closet. Add a set of towels in the bathroom. Hang artwork that represents your idea of the perfect companion or the perfect union. Any symbol representing a couple, such as a pair of candles, vases, birds..is a great addition. Ensure that your decor is not too feminine or too masculine. Lay in bed and have a smile while looking at your retreat! About the Designer: Catherine Montague, LEED AP, Principal of Green Design Innovation, is an International Interior Designer and team player collaborating with architects, builders and craftsmen to create superior designs for discriminating homeowners and businesses. Designs from around the world created in your unique style. She provides Interior Design Services, Real Estate Staging, Presentations & Corporate Training and International Shopping for the distinguished buyer. Contact Catherine at 412-638-2696 or catherine@greendesigninnovation.com for a complimentary assessment!